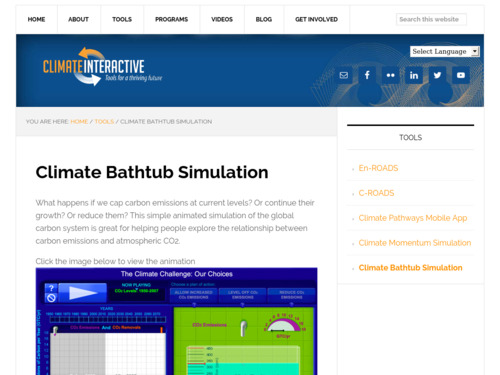 One of a suite of online climate interactive simulations, this Greenhouse Gas Simulator uses the bathtub model to demonstrate how atmospheric concentrations of CO2 will continue to rise unless they are lowered to match the amount of CO2 that can be removed through natural processes. This video segment from 'Earth: The Operators' Manual' explores how we know that today's increased levels of CO2 are caused by humans burning fossil fuels and not by some natural process, such as volcanic out-gassing. 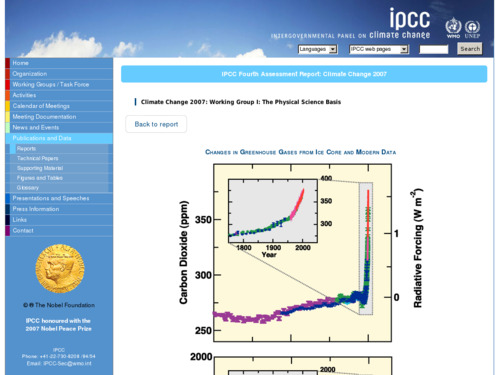 Climate scientist Richard Alley provides a detailed step-by-step explanation that examines the physics and chemistry of different "flavors," or isotopes, of carbon in Earth's atmosphere. 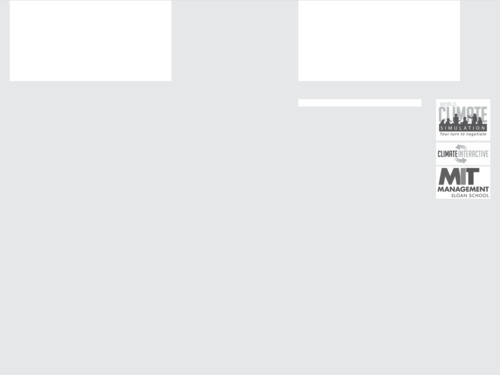 This short video describes the Hestia project - a software tool and data model that provide visualizations of localized CO2 emissions from residential, commercial, and vehicle levels, as well as day versus night comparisons, in the city of Indianapolis. 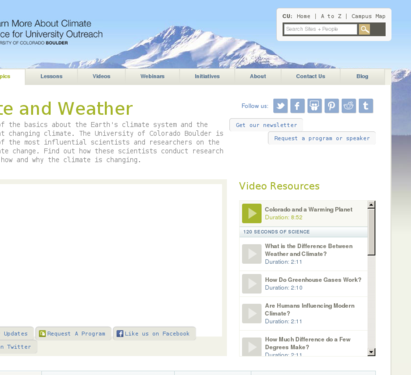 This video highlights a variety of climate change research initiatives from scientists at the University of Colorado, Boulder. 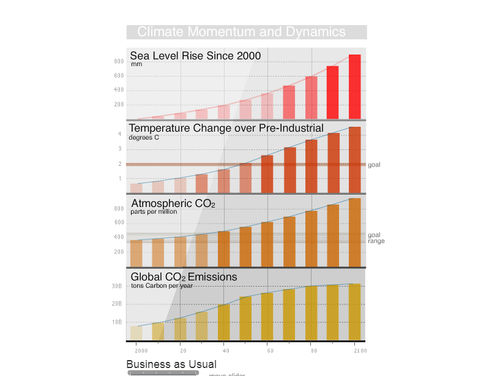 It describes the changing dynamics of Antarctic ice sheets and the impacts of reduced Arctic sea ice. 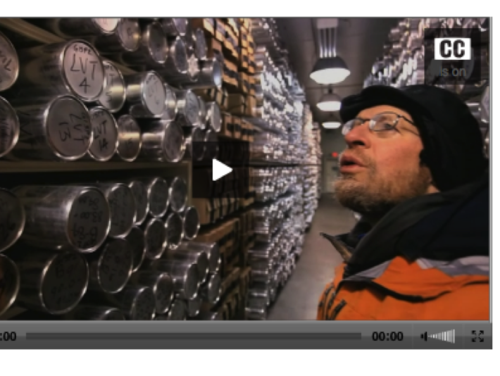 The video illustrates the excitement of this research through interviews and video clips of scientists in the field. 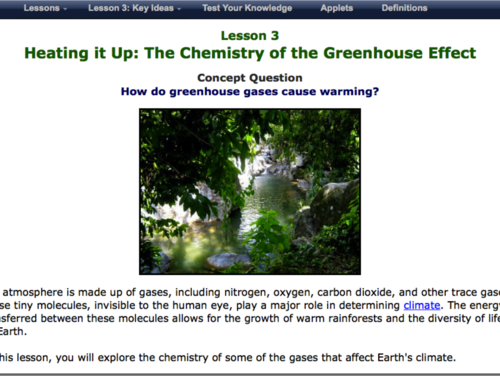 This lesson explores the chemistry of some of the greenhouse gases that affect Earth's climate. 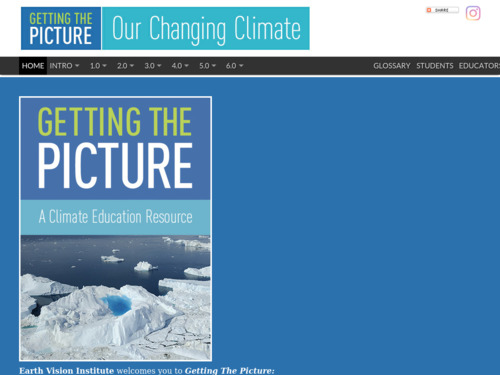 Third in a series of 9 lessons from an online module entitled 'Visualizing and Understanding the Science of Climate Change'. 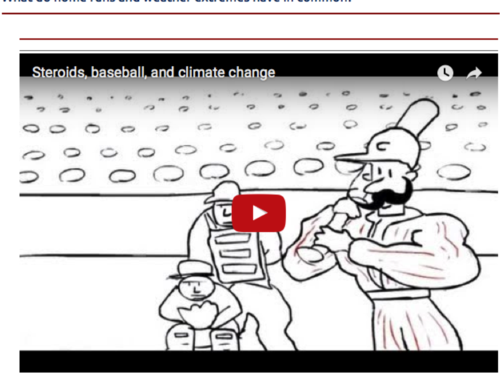 This short cartoon video uses a simple baseball analogy (steroid use increases probability of hitting home runs) to explain how small increases in greenhouse gases can cause global temperature changes and increase the probability of extreme weather events.